Rhubarb: not just for dessert anymore! 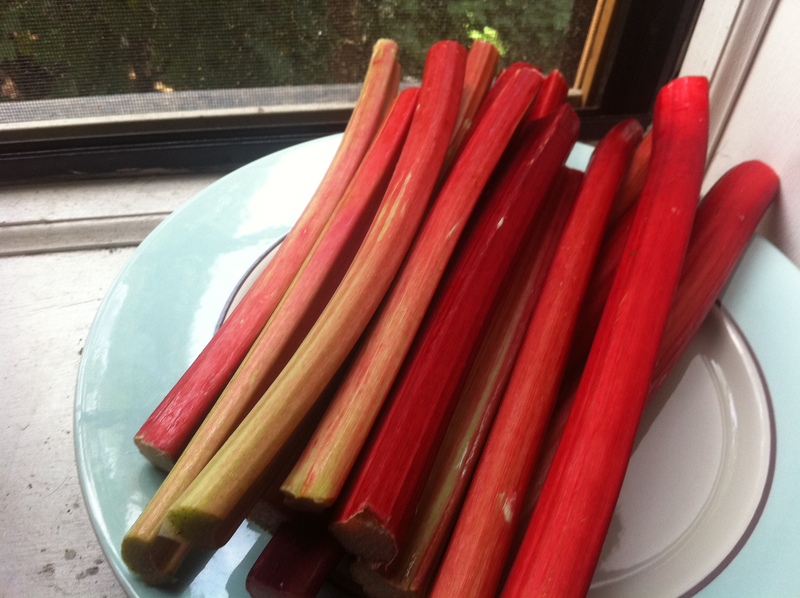 A quick note about rhubarb. This week, our CSA fruit share included about 3 pounds of rhubarb from Briermere Farms, and I’ve been contemplating what to do with it. I’ll most likely make a few pints of this delicious Rhubarb-Vanilla Jam from Food 52 that I made last year, but I’m also thinking about savory uses for rhubarb. Rhubarb, in and of itself, isn’t sweet, but it’s most often paired with strawberries in jams, compotes and pies. I found this savory, Indian-inspired recipe for a Rhubarb Lentil Stew last year, and I thought it was brilliant. Usually, I’ll add lemon juice to lentil-based soups and stews to add that bright burst of tartness that balances out the earthy flavor of the legumes. In Mark Bittman’s recipe, the rhubarb provides not only the necessary acidity, but also complex flavor and texture to an already flavorful dish. As with so many of Mark Bittman’s recipes, this one is minimal effort for maximum pleasure. Enjoy! Combine all ingredients except salt and cilantro in a saucepan and add water to cover by about 1 inch. Cook at a steady simmer until lentils and rhubarb are quite soft, 20 to 30 minutes. Remove cloves and, if you like, cardamom pods. Add salt, then taste and adjust seasoning. Garnish with cilantro and serve. This entry was posted in Recipes, Vegetarian and tagged Briermere Farms, cardamom, cilantro, CSA, Indian, lentils, Mark Bittman, recipes, rhubarb, savory, seasonal, spices, spring, stew, summer, vegan, vegetarian on June 25, 2011 by marinaberger.